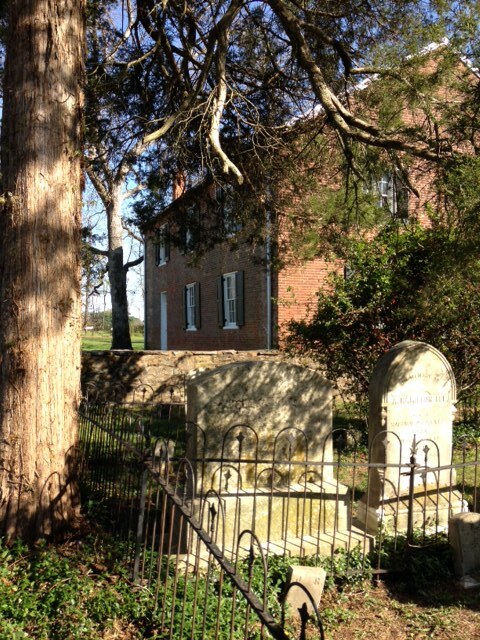 We recommend getting your tickets for the Aldie show as soon as possible. The venue has limited capacity. A folk opera of sorts, Dream of a Good Death, was inspired by Drew Gilpin Faust’s book This Republic of Suffering. This cycle of original songs follows the trials, hopes, fears and sacrifices of Confederate soldiers as they struggle through the Union conquest of Port Royal, the fires in The Wilderness, the killing fields of Gettysburg and Cold Harbor, and the long sieges of Vicksburg and Petersburg. The performance will also feature a display of Civil War paintings by Winslow McCagg. You know how we feel about artistic cross-pollination! Then in early June, a real homecoming: The Bitter Liberals will play a show in Berryville at the Barns of Rose Hill Saturday June 4th. Tickets for that show are available in advance here. Get them now. 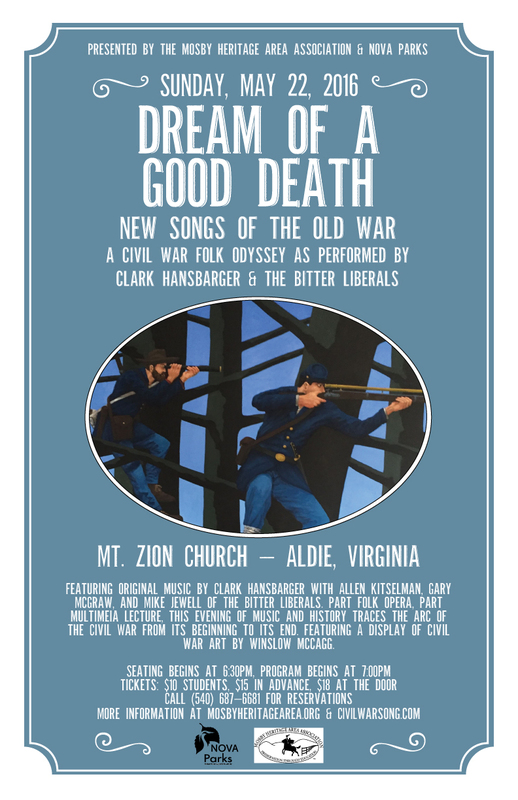 This entry was posted in art, band, bitter liberals, gig, original music, poster and tagged aldie, Allen Kitselman, bitter liberals, civil war, Clark Hansbarger, concert, dream of a good death, entertainment, homecoming, mt zion church, music, songwriting, tickets. Bookmark the permalink.